This week my featured spotlight started. My letter is the O. And I choose the theme Offline with this letter also i saw other themes with the O, Oceans and Outdoors. This gave me the idea to make all 3 for this weekend. Sit back, relax and go outdoors or to the Oceans, just go Offline. 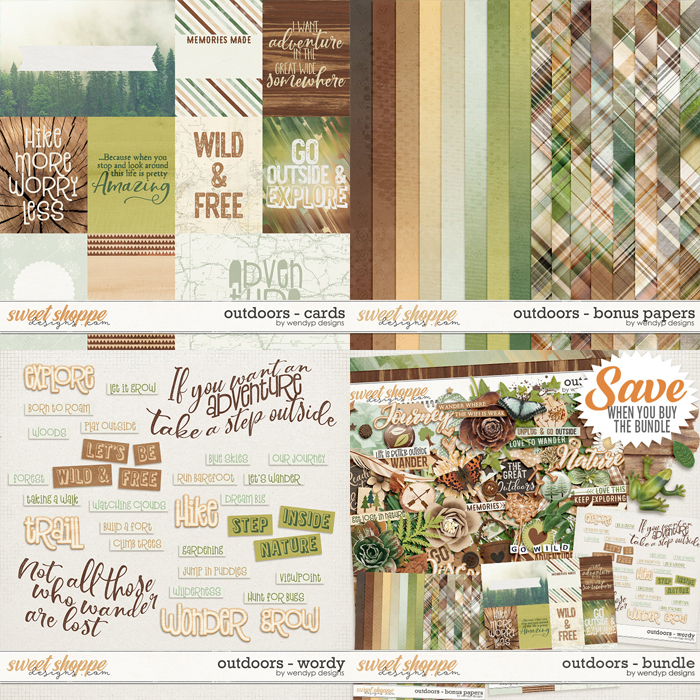 I made 4 add-ons to my free scrapkit with you can grab seperate or bundled together likt this. Outdoors, is perfect for adventurers who love to get out in the fresh air and wander. Put away the electronics and explore nature! Document walks in the woods, hiking trips, sightseeing or just hanging out in your backyard. 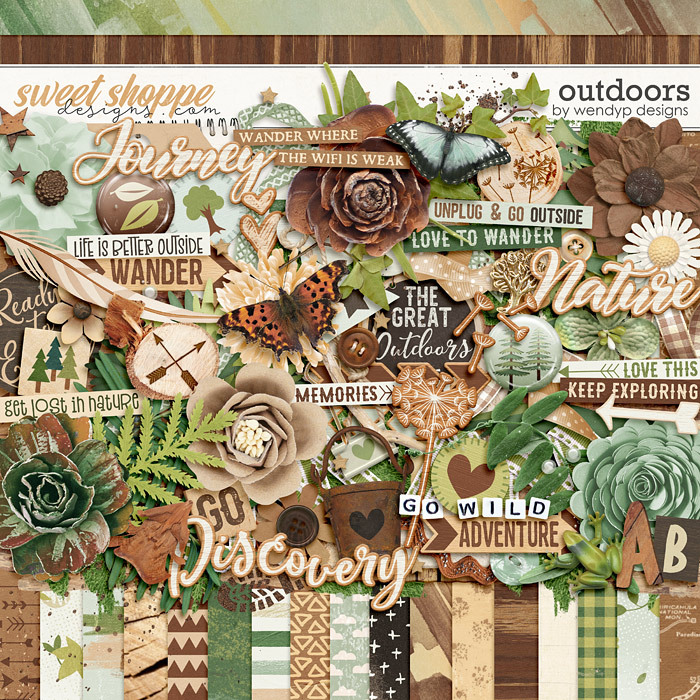 Earthy goodness will compliment your layouts of discovering the joys of the great outdoors! 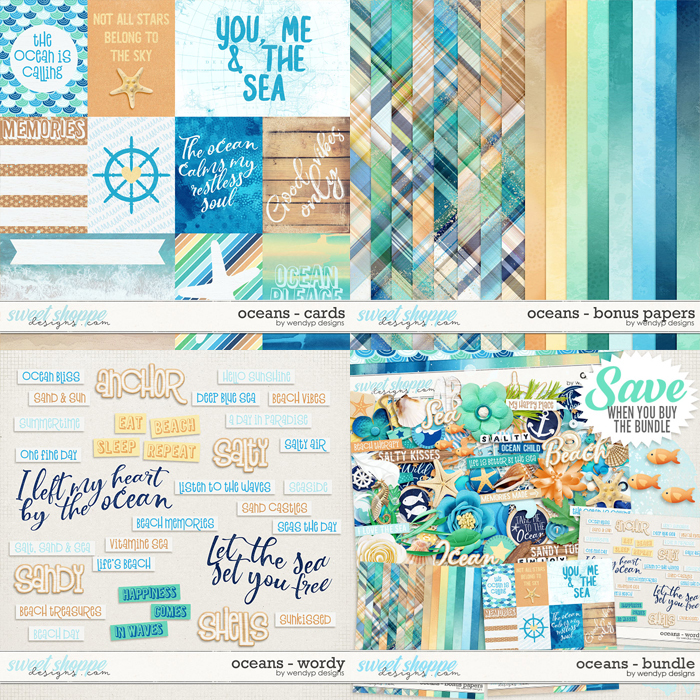 Oceans, is inspired by warm sunshine and salty sea breezes. Document your long walks on the beach, searching for sea shells, swimming, playing and sunning in the hot sand. 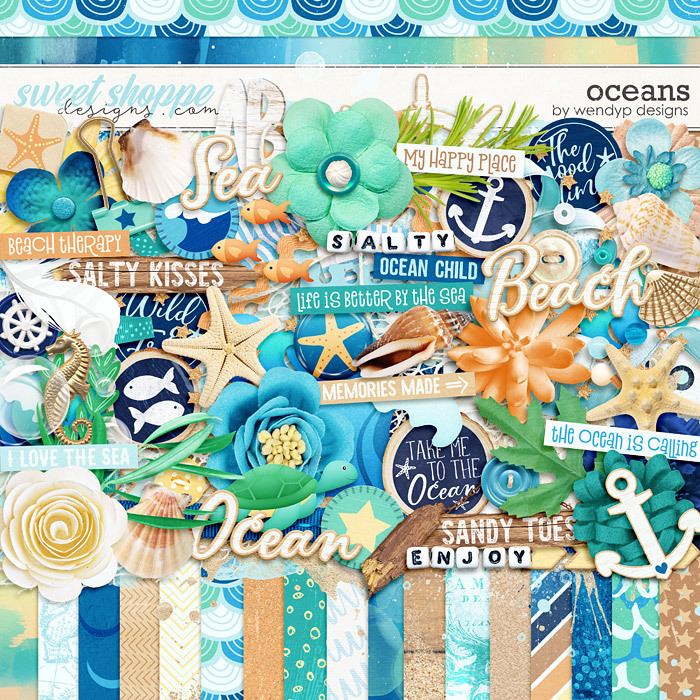 The ocean is calling so get out there and get some beach therapy and come home to relive the fun making layouts with this gorgeous collection!